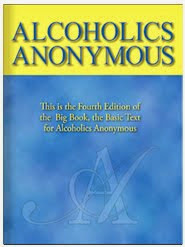 The Big Book of Alcoholics Anonymous is my main source of inspiration when it comes to recovery issues. It’s proven to be a valuable asset to my program. I’ve learned from the Big Book that recovery from any compulsive disease is possible. 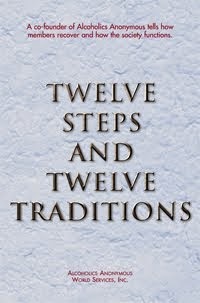 We are given Twelve Steps to follow, and told that if we do what our predecessors did, then we WILL recover. We have to be willing to go to any length to succeed. We have to do the footwork. The people who don’t succeed in this program are the ones who don’t avail themselves of all the help that’s available to them. They don’t read the literature, they don’t go to meetings, they don’t do service … they don’t do what those who have gone before have done. So they wallow in their disease instead of recovering. There’s a reason why we’re told, “Rarely have we seen a person fail who has thoroughly followed our path.” That means the program works IF you work it. Those who don’t work the program don’t recover. That’s a pretty powerful statement, but it’s true, and for some reason, a lot of compulsive people just don’t get it. They keep doing the same old things and getting the same old results. In the process, they remain fully in the grip of their disease. Sure, recovery is a miracle, but it won’t fall into your lap. You need to work for it, and by the grace of the God of your understanding, you’ll receive the miracle. I remember that it’s not enough to talk the talk; I need to walk the walk if I want to recover.